We would suggest a minimum of £1.00 due to processing costs. The Newry & Portadown Branch of the Inland Waterways Association of Ireland is one of 24 branches spread across the whole island of Ireland. Our aim is to re-open the Newry to Portadown Canal. Your donation will help us to achieve this goal. Covering cost of rental and purchase of plant and equipment. Running costs of this equipment. Health and safety gear for our members. Running costs of the interpretive centre. Lobbying to get more support from councils and government. Signage and leaflets to keep the public aware of what an asset we all have in the Canal. All the labour we put in is entirely voluntary. You could come and join in if you wish. This is the oldest canal in Ireland and Britain and is therefore of great heritage value. It has been allowed to fall into disrepair and we have been working for the last 10 years carrying out maintainance on the stone structures to help save further deterioration and lobbying the councils to carry out proper repairs. We have regular work parties removing trees and vegetation from the lock chambers so that the still impressive craftmanship can be better appreciated by the public. In 2015 our members manufactured and installed lock gates at Poyntzpass and near Scarva, re-watering the summit level for canoes and small boats. We open the Sluice Keeper’s Cottage Interpretive Centre near Acton on summer weekends and have created canal-side gardens. 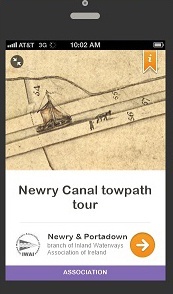 We raised funds to develop a guided tour App for use on phones, tablets and PCs aimed at increasing public awareness of, and appreciation for, this great community asset. Have a look at our “Home Page”. As a first stage towards full re-opening we would like to see the canal developed into a “Blueway” as Waterways Ireland has done on canals in the Republic of Ireland. We will also continue to lobby and campaign, to fund-raise and apply for grants, to maintain and conserve the architecture and industrial heritage of the canal and to continue our voluntary groundwork. 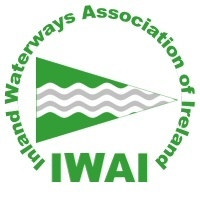 The whole of the Inland Waterways Association of Ireland is run by volunteers. There are no paid staff. So all donations will go towards saving the Newry to Portadown canal.